Two of my favorite things in the whole wide world, joined together as one. 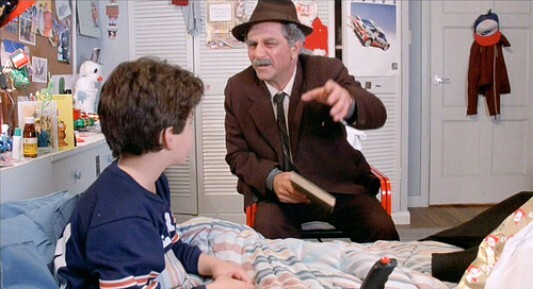 This new video takes the grandfather and grandson part of the timeless fairy tale classic, The Princess Bride, but instead of the grandfather (played by Peter Falk) reading The Princess Bride to his grandson (played by Fred Savage), he instead reads him book one in George R.R. Martin’s “A Song of Ice and Fire” book series, A Game of Thrones, accompanied of course by footage from the HBO series. The results are quite enjoyable, and you can check out the video below. Be warned, however, that the video contains major spoilers if you’ve not read book one or seen season one of HBO’s series.